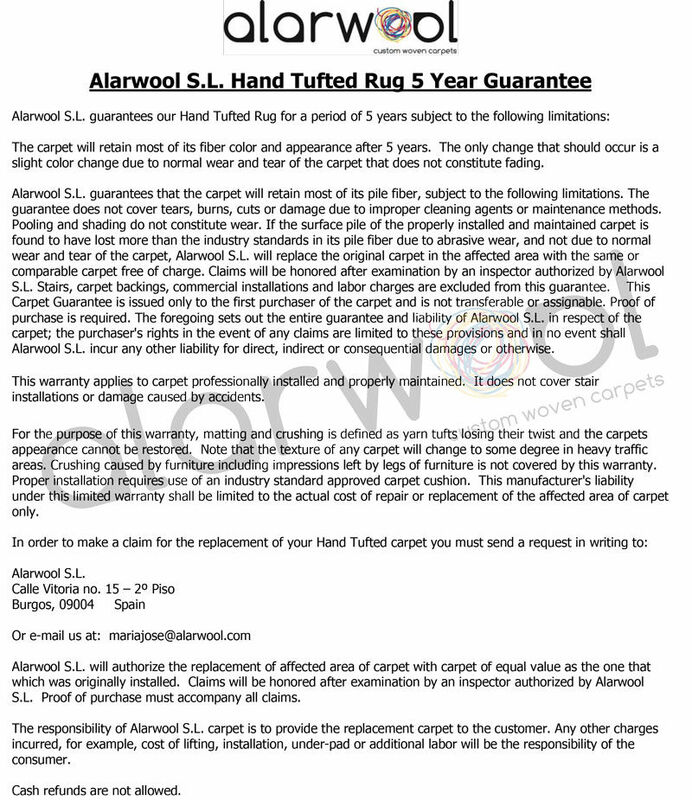 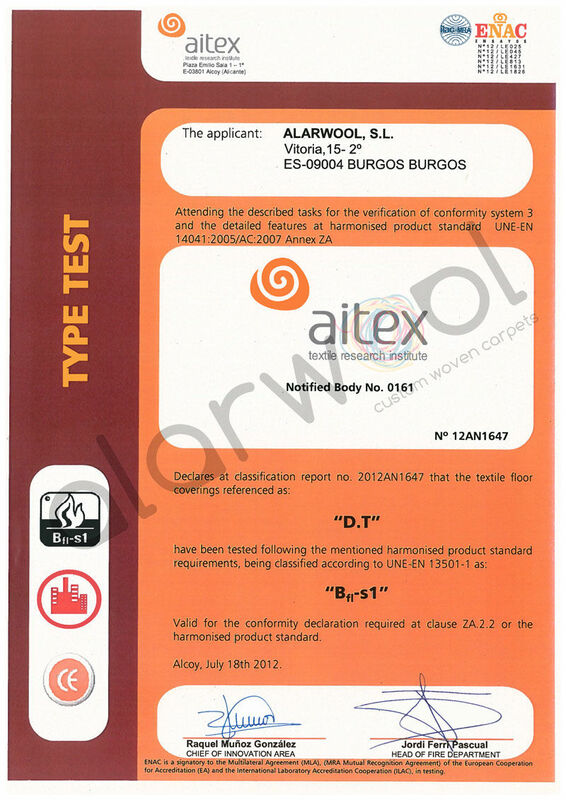 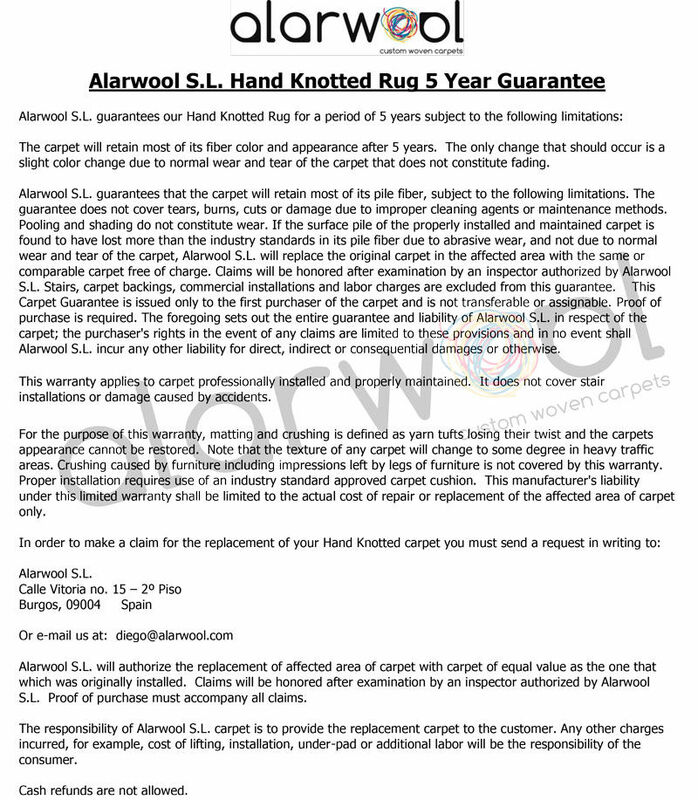 Alarwool offers its customers a complete service in carpet and rug covering. 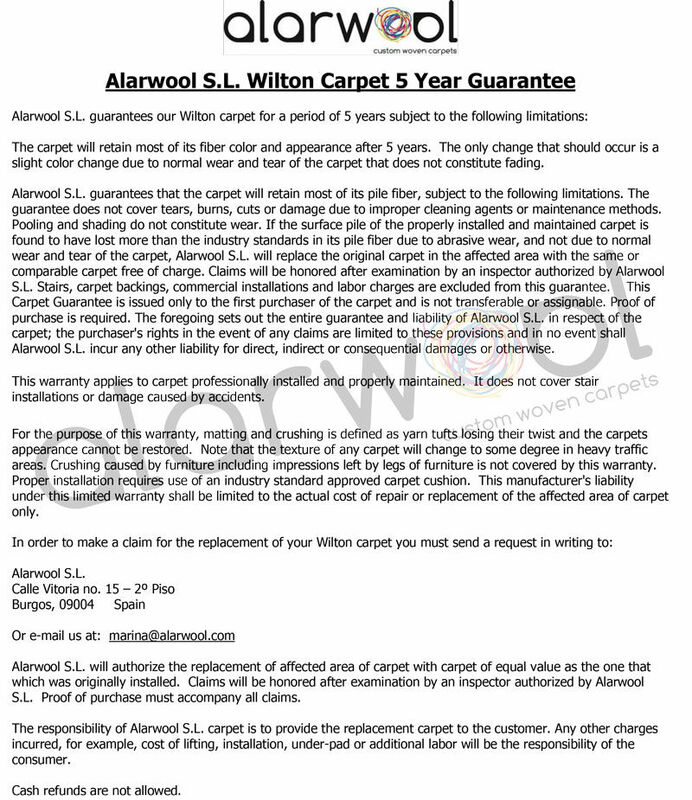 From the very initials stages of study and quoting, through the redesign of the works, the manufacturing, the logistics and the shipping of the goods and of course finally, the installation where our experienced installing teams perform all types of double stick installations or stretched installations, with or without underlay, according to the requirements and specifications of every hotel chain. 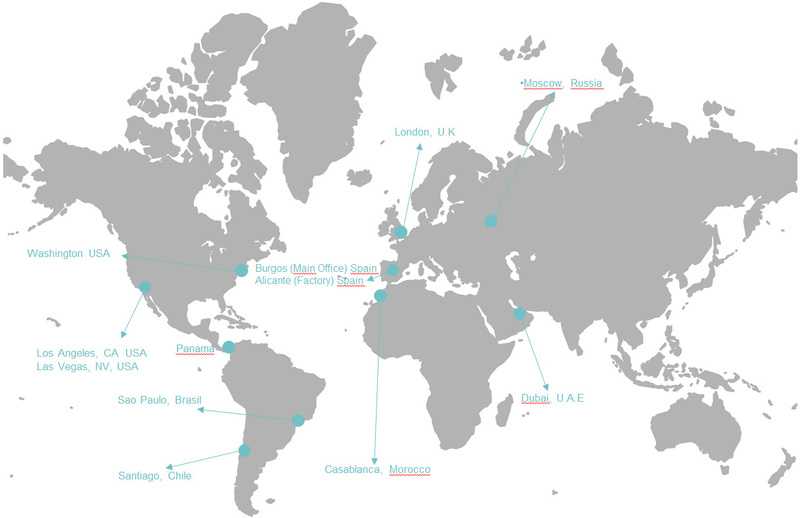 Moreover, we have a wide network of sales agents all over the world, that provide commercial representation and direct help to our customers, no matter where or in which language. 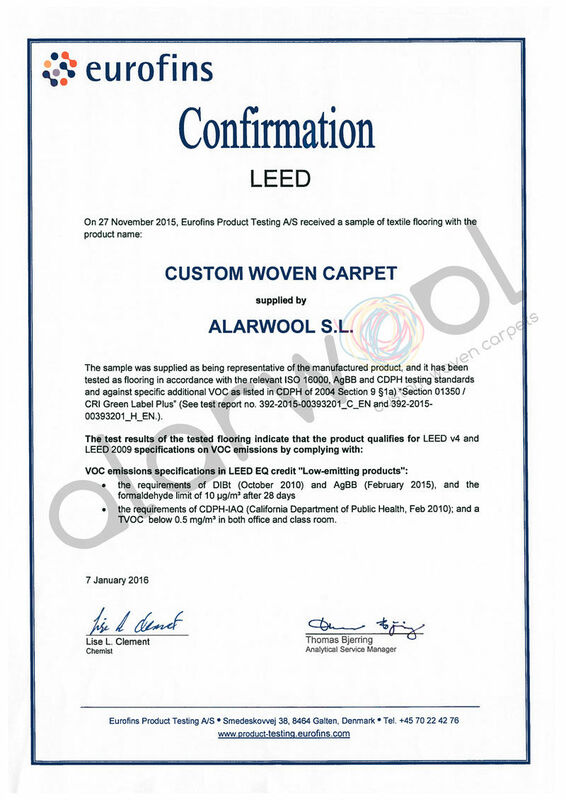 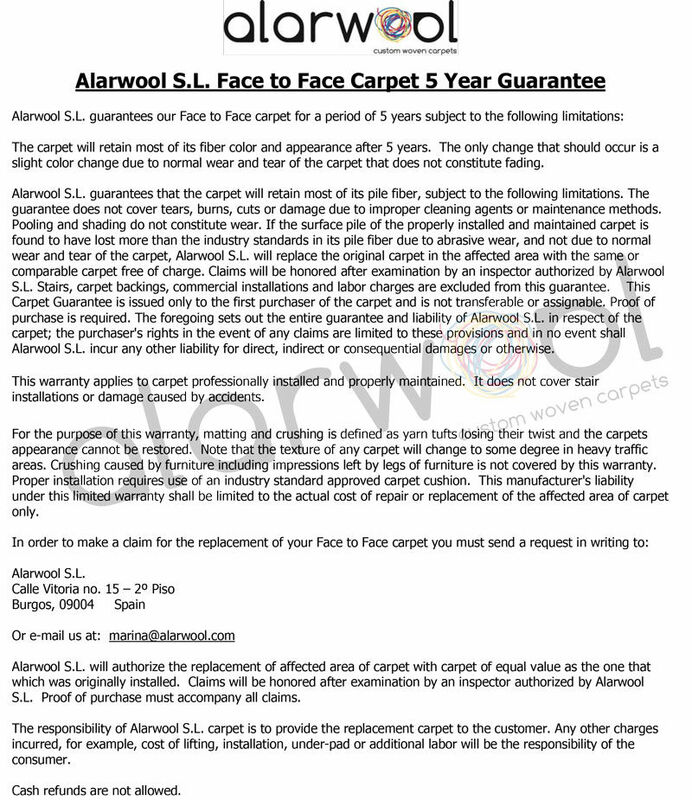 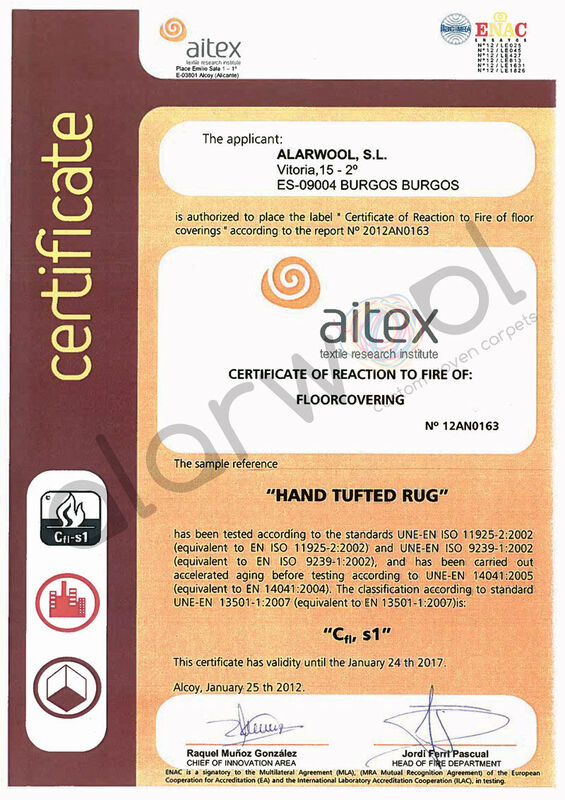 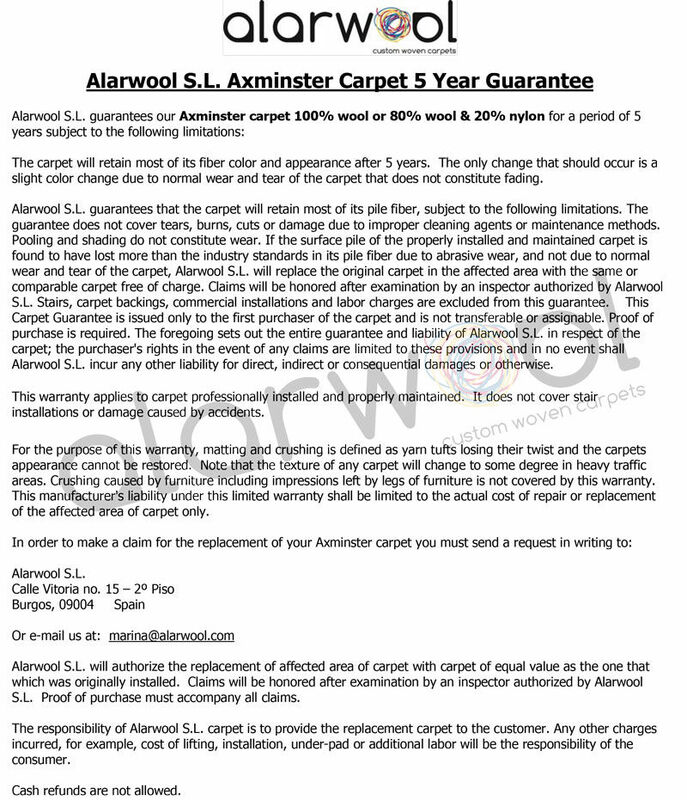 Alarwool offers to his clients the possibility to apply to all of our products a special finishing treatment that helps to the easy maintenance of the carpet and that without any doubt increases its useful life. 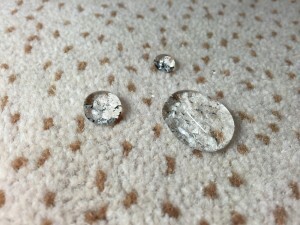 Thanks to the nanotechnology, which works at molecular level in the wool fibers, our carpets repels all type of stains and liquids without losing its properties like the view and the touch. 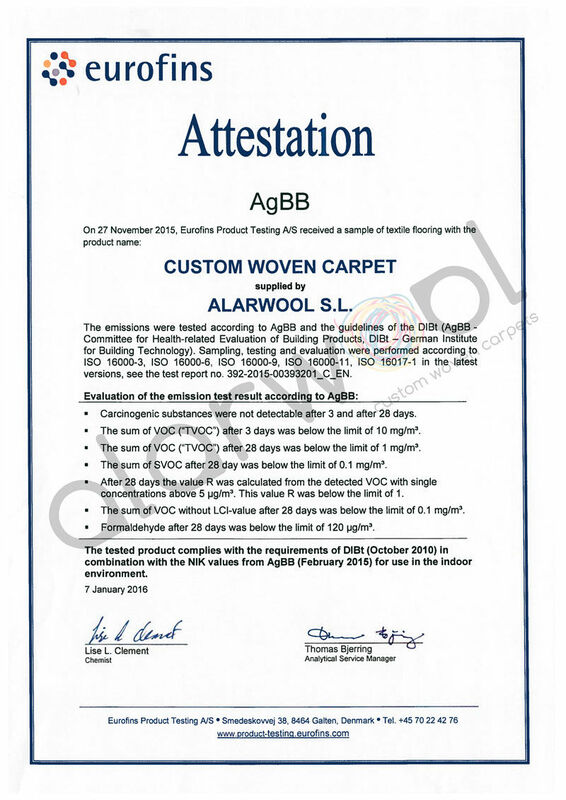 This way, the carpet will only need be to vacuum regularly reducing significantly the use of chemical products and aggressive cleaning methods that damage the wool and fade the colors reducing its natural elegance.